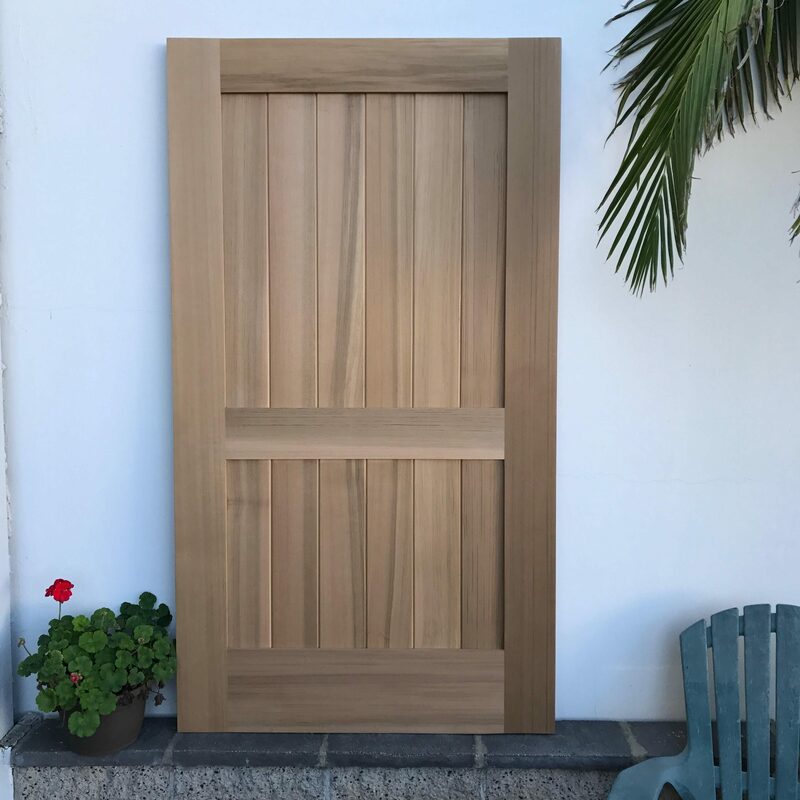 Garden Passages offers Do – It – Yourself Wood Gates for our customers that have the skills or contacts to complete the finishing and installation of their wood gates on their own. Customers can select from a range of custom options to design simple cedar gates, or rich and rustic ornamental gates for their home, yard or garden. There are four main styles of gates offered in our DIY program that are value priced for our customers. These styles can be seen below. 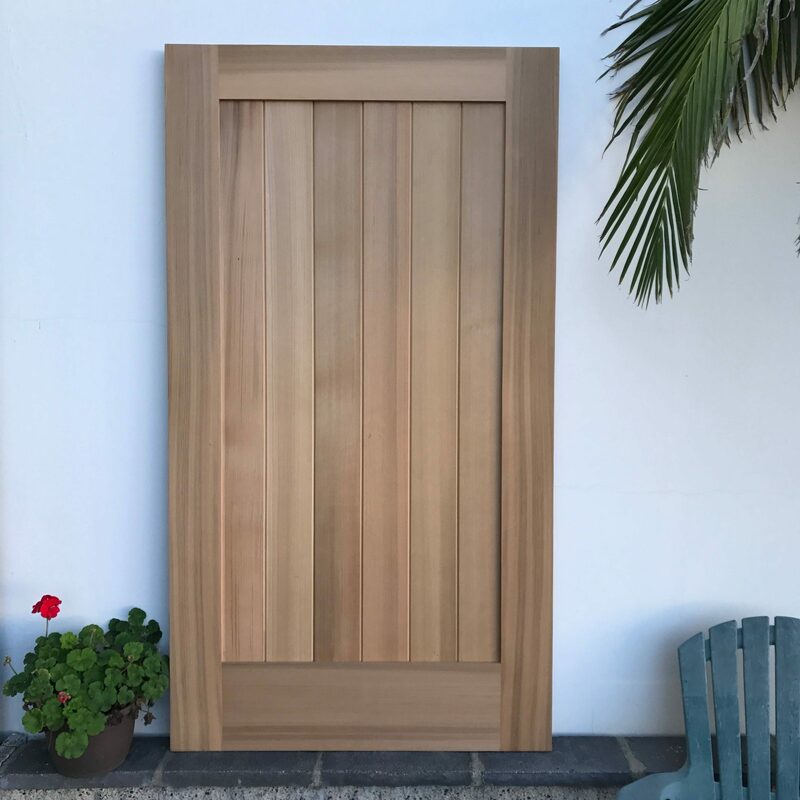 All gates in the DIY program are made from Clear Western Red Cedar and feature 1 3/4″ thick framing with our standard 3/4″ interior T&G body. Design adjustments such as multiple crossbars, thicker bodies or re-positioning of design elements are available at an additional cost. Visit Garden Passages on Pinterest for more clean and simple gate ideas. Customers are welcome to purchase any style or design of gate as DIY; however, pricing can vary for those styles outside of the basic approaches shown and discussed on this page. DIY Project Customers are encouraged to visit our showroom to discuss their project and to seek advice from one of our designers, but these services are limited in the DIY program. We highly recommend making an appointment before visiting the showroom and bringing in as much information as possible including: accurate dimensions and any other information you may find important. Please Contact Garden Passages if you have questions or to set up an appointment. 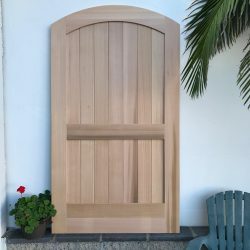 It is common for customers to purchase jambs, hinges, caps, functional hardware, and decorative hardware along with their DIY gate. Please see the below tables for basic pricing information on these styles and the most common adjustments. 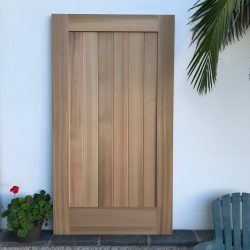 If you are looking for a style of DIY Wood Gate previously listed on this page that is no longer here, please be sure to check our Old Gate Gallery Page. Gate slabs are the basic starting point for a gate project and come pre-made to your custom size. You may need additional parts and hardware to successfully install your gate. Gate slabs do not come painted or stained. DIY Slabs are available in larger sizes for small increases in cost. Contact Garden Passages for exact pricing outside of these sizes. Starter Gate Kits include the least number of items needed for a functional gate. These kits include a Gate Slab, Standard 2×4 Jamb Set with Stops and Scribe, 3 Heavy Duty Hinges, and a Simple Gate Latch. Starter Gate Kits do not include any painting or staining. These are the most common additions and changes to the design of our 4 standard DIY Wood Gate styles. 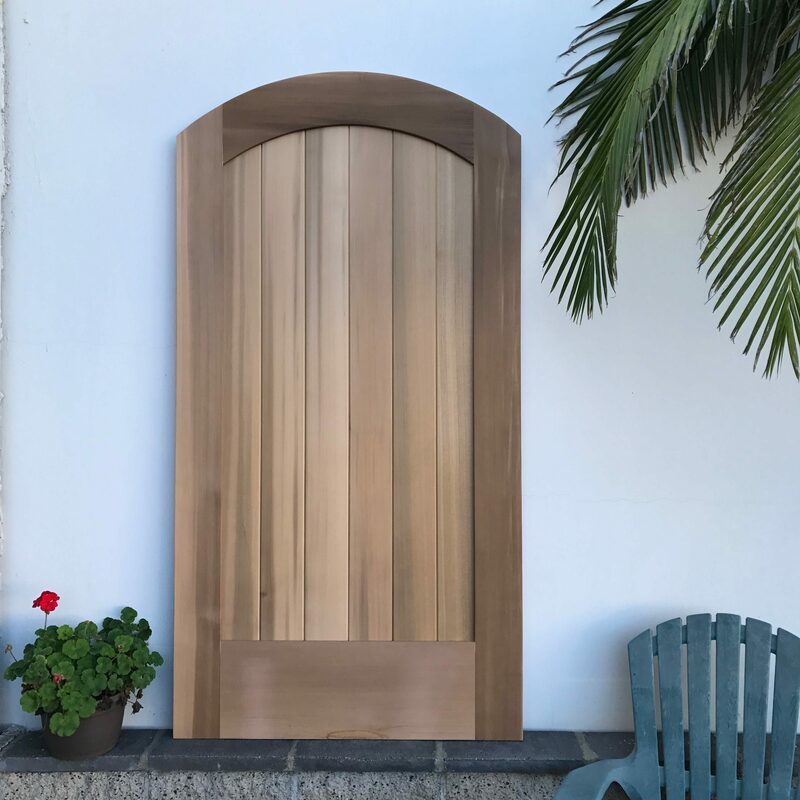 The ordering process for your Do – It- Yourself Wood Gate depends on your knowledge and understanding of what you want and need. Follow these basic steps to get your gate ordered and be sure to Contact Garden Passages ahead of time if you have any questions. Collect Your Information: DIY Wood Gate customers are in control of their project, Garden Passages can only provide basic help in showroom and does not provide any measuring services for DIY Wood Gates. Measurements: Height and Width of the opening. We recommend checking the level of the walls, the width of the opening at multiple points, and checking the slope of the ground. Design: Choose a design before meeting with Garden Passages. Contact Garden Passages for Quote(s): Please call Garden Passages at 714-843-3205 and to speak to us briefly about your project so we can determine how best to get you a quote. Showroom Appointment: Garden Passages highly recommends that all customers make an appointment to visit our showroom and meet with a designer. This is the best way to get questions answered and expedite the process. Email: Customers who are confident with the DIY process or have extensive experience may be able to do the entire process via email. Please call us at 714-843-3205 to discuss your project and to get our email address. Approve Final Drawings and Send in Payment: Once you have approved the final drawings with dimensions and provided payment Garden Passages can begin constructing your new gate. Typical orders are ready for pickup within 2 weeks of the approval and payment date.